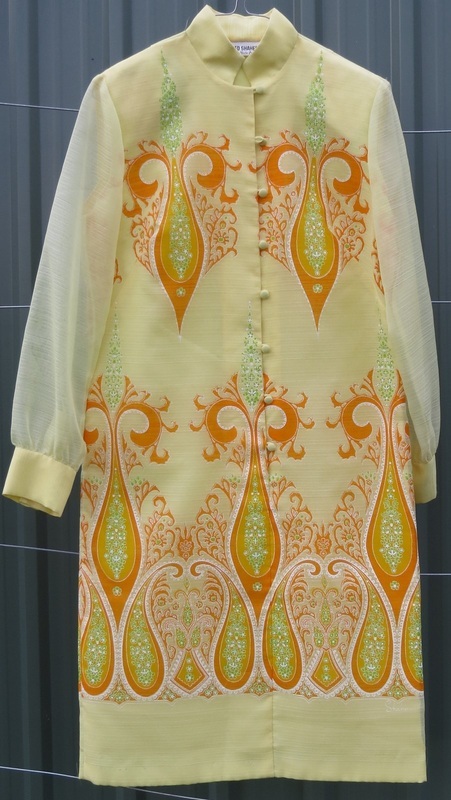 1960s 2: Mostly mod dresses. 1950s or 1960s. Some by designer Alfred Shaheen; see also 70as4-10, 60s or 70s. 607 S The mini-skirt arrives! Size 8-10. 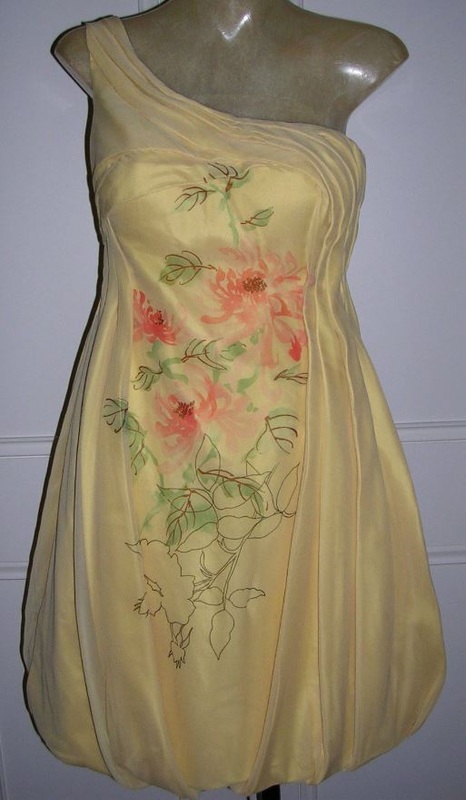 Handpainted front and back, yellow/ochre chiffon, one-shouldered; bodice draped and boned, with inbuilt corset fastening with hooks and eyes. Lined with satin. Bubble hem. $130. 608 S B 90, W 88, Hip 90, length 101cm. Shift dress, meant to be worn loose. Shaheen. Colours vibrant. $50. 607 M Fresh green and cream, with white edging. 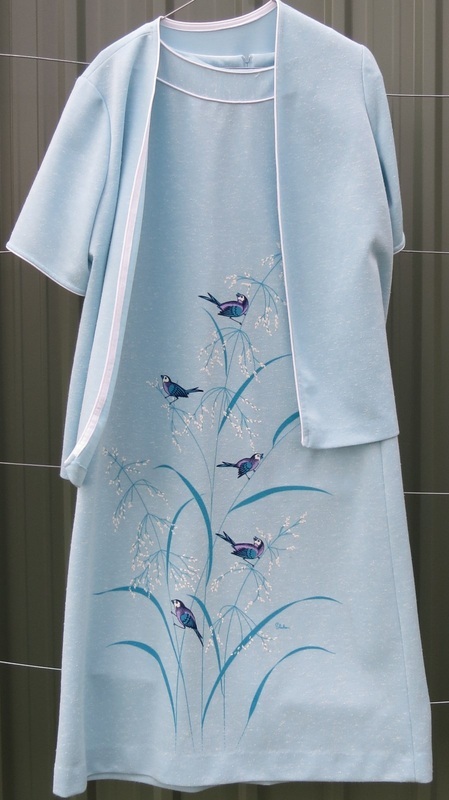 Label reads: to fit bust 90cm, waist 70cm, hip 95cm. Length shoulder to hem 151cm. Mid-season weight. $40. 609 dress B 109, W 104, hip 110cm, length 114cm. Shift dress, meant to be worn loose. Shaheen. Mid-season, soft fabric. Sleeveless dress with open plain jacket. Dress print is only on the front. $85.